The animal formerly known as "Brontosaurus". In 1879 the original fossils of a Brontosaurus were discovered, without a skull. Many years later, it was determined that the skull used to complete the skeleton in the 1800s actually belonged to another sauropod, named Camarasaurus. The remaining skeleton was identified as an Apatosaurus. 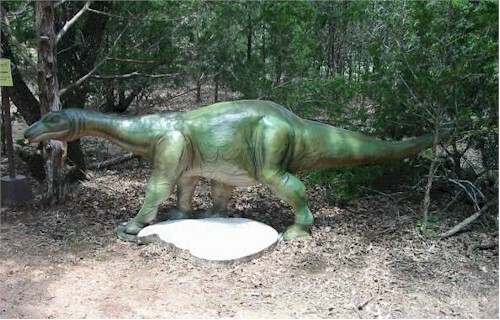 Meaning, Brontosaurus was never actually a species of its own.